WILLIAMSBURG, Va., April 18, 2019 — Jamestown Settlement is proud to present the premiere of “Mother Tongue,” an original play written by Abigail Schumann, that explores the stories of three women of Jamestown – Matoaka, Anne Burras Laydon and Angelo – as they come together to consider if, and how, the future will remember them and why it matters. This new production will take the stage in the Robins Foundation Theater at 7:30 p.m. on May 10-11 and May 16-18. Written in support of Jamestown Settlement’s special exhibition “TENACITY: Women in Jamestown and Early Virginia,” a legacy project of the 2019 Commemoration, American Evolution, “Mother Tongue” blends historical content with modern perspective. “Mother Tongue” playwright Abigail Schumann is special exhibitions programs manager at Jamestown Settlement. The recipient of eight regional Emmy awards for script writing, directing and producing educational history programs, she has created plays and performances for museums and historic sites for more than 20 years. “Using theater as a way to animate the stories of women featured in the exhibit reminds us that their lives weren’t just lived in the line or two history may have recorded about them. Their lives were as complete and as complex as our own,” she said. The facts of each woman’s life are drawn from the historical record where available, while supplemental invention (such as childhood memories) is used to propel the narrative. Interweaving forth-wall scenes with direct audience address, the three women, who did not interact in real life, meet in a timeless space to compare their experiences and reflect on the meaning of their lives. Jamestown Settlement’s “TENACITY: Women in Jamestown and Early Virginia” will be open to event attendees each evening at 6:30 p.m. prior to the start of the play. “Mother Tongue” is made possible by Dominion Energy. Admission to this special nighttime performance is $20, with event details and tickets available at historyisfun.org/mother-tongue. Jamestown Settlement features expansive exhibition galleries and films that connect visitors with the lives of the Powhatan, English and west central African cultures that converged at 17th-century Jamestown, and historical interpretation in outdoor re-creations of a Powhatan Indian village, 1607 English ships and colonial fort. Jamestown Settlement is a stage for special exhibitions, events and programs in conjunction with the 2019 Commemoration, American Evolution, honoring the 400th anniversary of key historical events in Virginia in 1619. The “TENACITY: Women in Jamestown and Early Virginia” special exhibition, a legacy project of the 2019 Commemoration, explores captivating and little-known stories of Powhatan Indian, English and African women in 17th-century Virginia, and is accompanied this year by more than a dozen public lectures, special events and performances. Located on State Route 31 near the Colonial Parkway in James City County, just southwest of Williamsburg, daytime admission to Jamestown Settlement, open 9 a.m. to 5 p.m. daily year-round is $17.50 for adults, $8.25 for ages 6-12, and free for children under 6. Residents of York County, James City County and the City of Williamsburg, including College of William and Mary students, receive free admission with proof of residency. A value-priced combination ticket with the American Revolution Museum at Yorktown is $26.00 for adults and $12.50 for ages 6-12. A separate ticket is required to attend this evening performance and is available for purchase for $20 at historyisfun.org/mother-tongue. 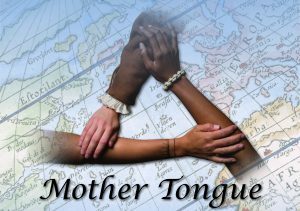 For more information, call (888) 593-4682 toll-free or (757) 253-4838 or visit historyisfun.org/mother-tongue.